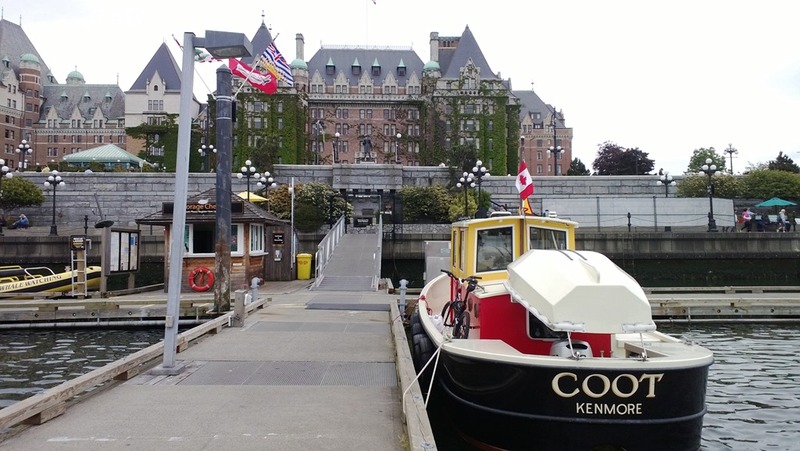 I was tired when I got to Victoria on Friday afternoon, so I bought moorage at the government wharf right in front of the Empress Hotel. 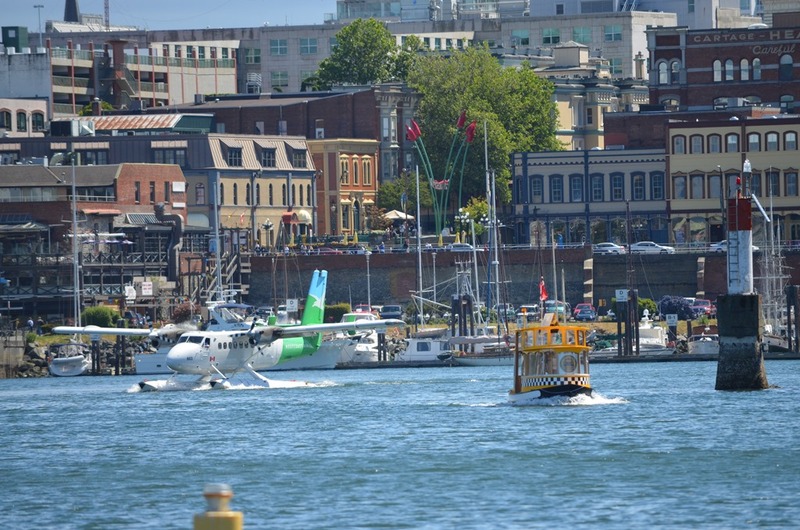 I was going to anchor out in Esquimalt (esk-WEE-malt) Harbor. I walked around West Victoria all Friday afternoon, and then Meryll showed up with her bicycle on the Coho (Black Ball) ferry on Saturday afternoon. We walked through Chinatown and had a nice Japanese dinner that evening. Sunday morning we biked all over the neighborhoods south of the inner harbor. Meryll dropped a Loonie into the hat of the Plaster Man, and he scared her by stepping down and giving her a hug. Then we took a dinghy ride around the harbor, and she caught the 7:30 sailing back to Port Angeles to go to work the next day. The weather was sunny and windy each day we were there. Threading the usual chaos on the harbor on the way in. A pretty decent parking spot. 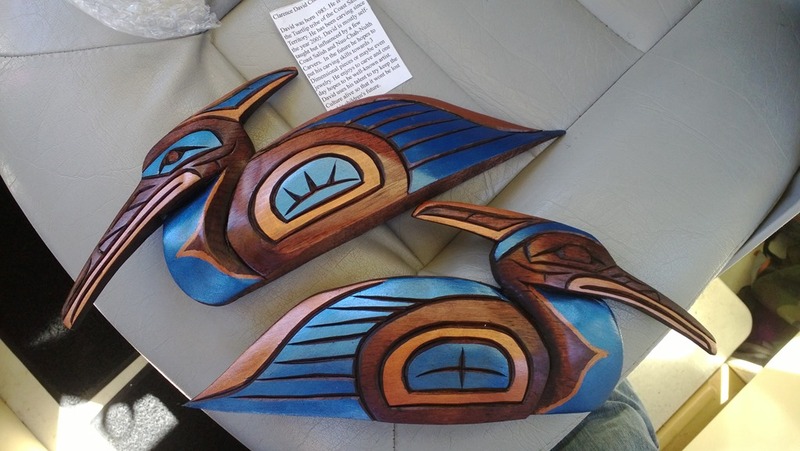 Meryll bought me some cedar carvings for the Coot. We talked to the artist, Clarence David Charlie II. They are loons instead of Coots, but no one carves Coots. 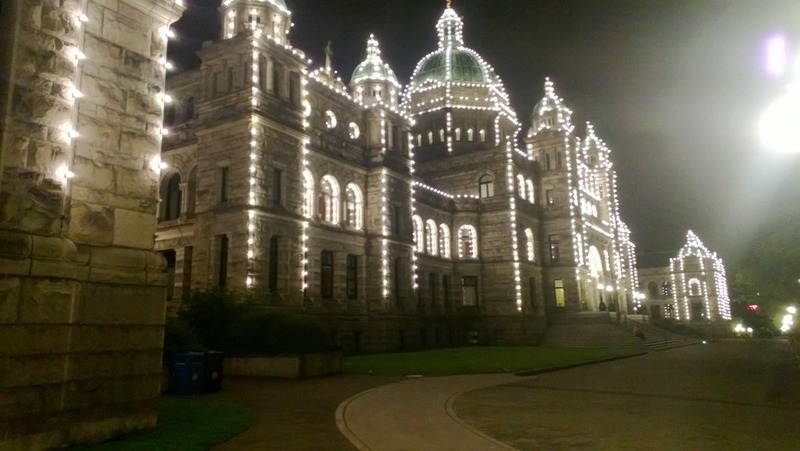 Parliament buildings. Meryll took this picture. 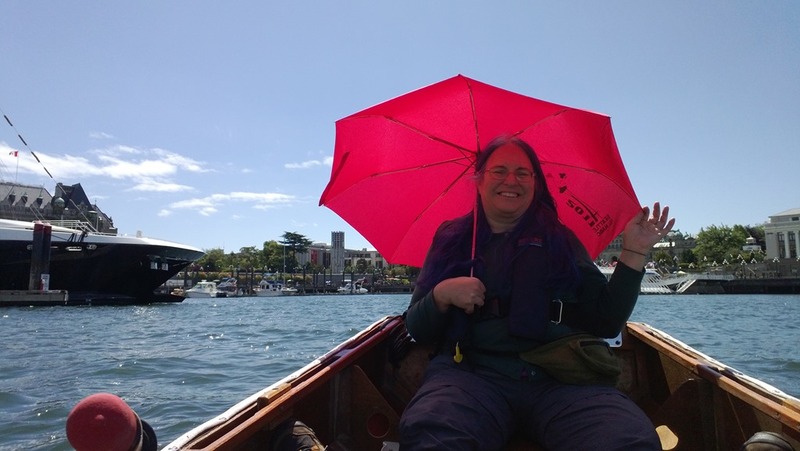 Meryll looking cute with her parasol on the dinghy. Awesome pics Tom!! Great parking spots in Victoria and Roche! Check Facebook for an incredible photo of Coot in the Locks with a huge tug. Thanks Barry. I love that picture! I’ll post it on the blog soon. What a lovely boat. Great project / obsession!